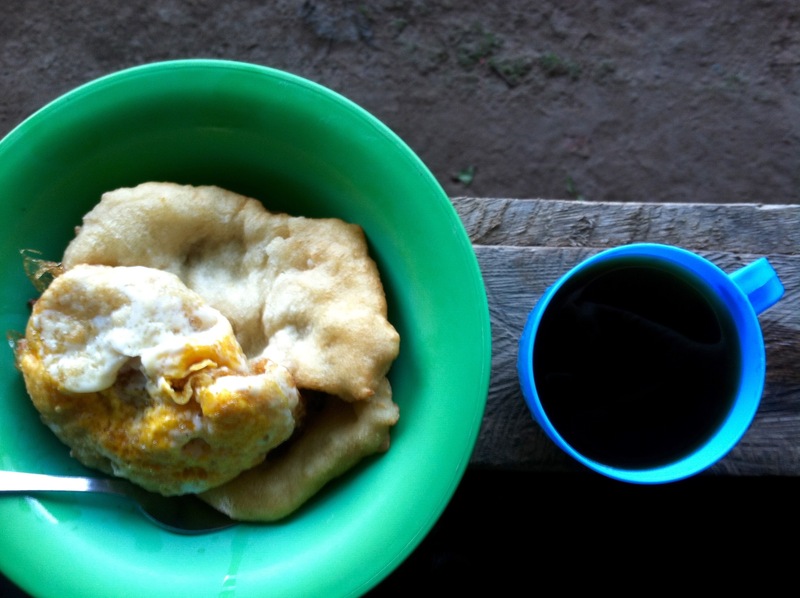 Tortillas de maiz: I grew to know when a plateful of fried egg and tortillas was on its way. The crack of an egg and a drop into a sizzling pan of oil became the sound track to breakfast. For special occasions, many hosts will make tortillas de maiz from scratch, using only the sweetest kernels. 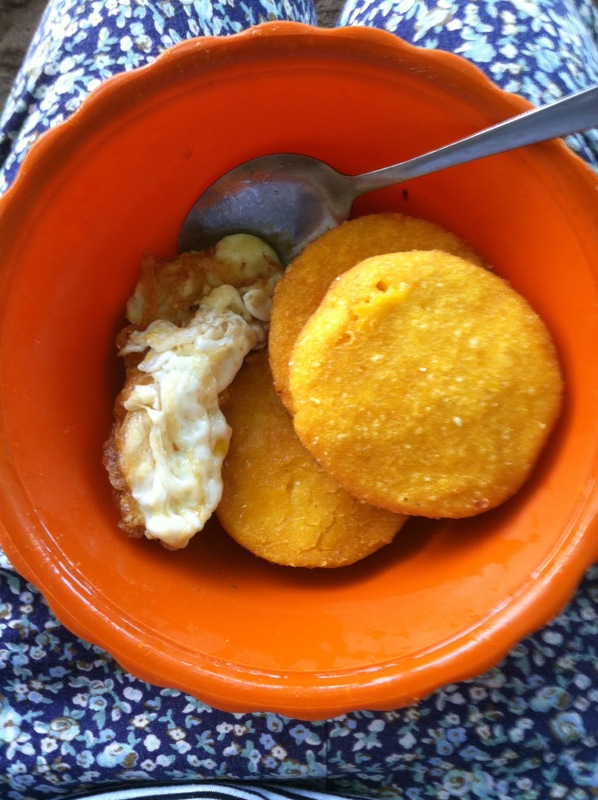 The sweet, fried, hand-mashed patties resemble more of a fried plantain than corn. But the tortillas pictured here are purchased in a pack: yellow pre-sliced disks waiting to be fried up. These are the everyday version that most moms will prepare. They’re more savory than sweet and work to soak up the yolk of a fresh fried egg. Beans and rice: Here we have it, friends. The beans and rice lifestyle. It’s totally not something to roll your eyes about. More than two-thirds of the world eats rice every day, and there are uncountable varieties of legumes to pair it with. Most of the beans cultivated and consumed in Soloy are of the pinto variety. (But lentils are very common, too.) And there’s a reason the classic pairing holds you over until the next meal. While beans are protein-packed, they lack a few amino acids. Amino acids help the body to fully receive all that a plant protein has to offer. That’s why rice is its nutritional soul mate. 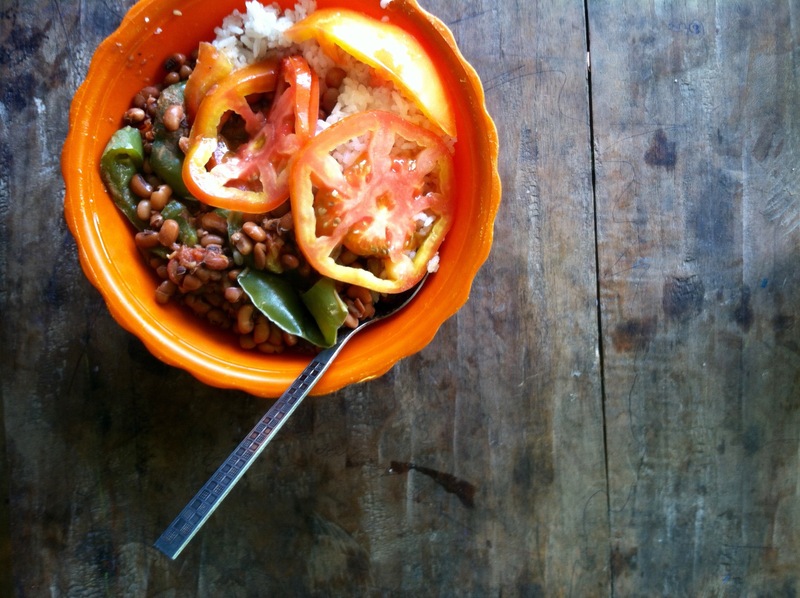 When paired with legumes, rice fills in the gap with all eight essential amino acids. Together, they form a complete protein that’s especially important for vegetarians and omnivores in areas with limited access to meats. Golden potatoes: The majority of Soloy’s population works in agriculture. Students at the public high school spend mornings learning by doing: farming in the school’s fields all morning. Then they return home for lunch, bathe and change their clothes, and head back to school for afternoon classes, well into the evening. 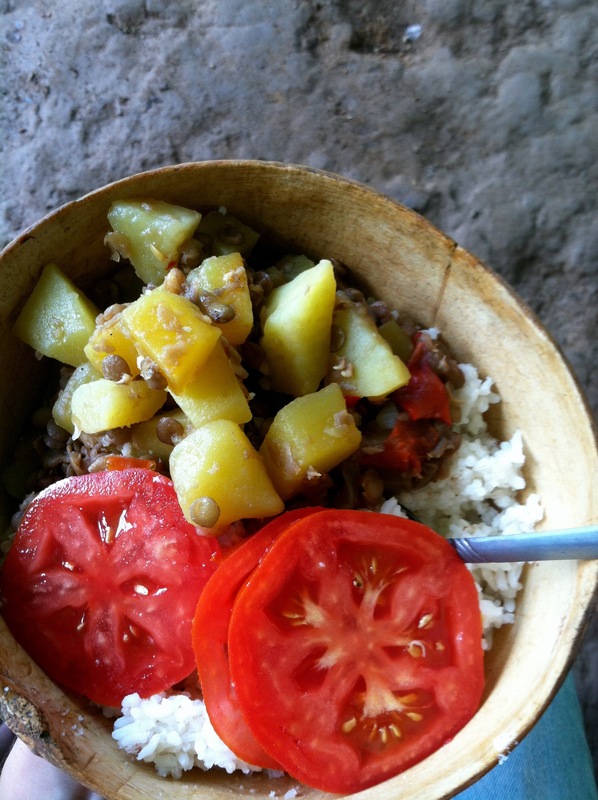 Soloy’s principal harvest includes rice, frijoles, various forms of plátanos, and potatoes. (Tomatoes are precious and bused into town.) The eight-year-old daughter of my host family hated potatoes. She would sneak hers into my bowl as if her mother, the chef, weren’t sitting across from us.